In 2015, when the United Nations was in the process of adopting the Sustainable Development Goals (SDGs), civil society organizations successfully led the fight for eradication of FGM to be included in the targets and as one of the 230 global indicators used to measure progress. Target 5.3 of the SDGs now requires all 193 countries which signed onto the SDGs to take action to end FGM and to measure prevalence of FGM within their countries. The figure of 200 million is based on official representative data which is available for only 30 countries, 27 of which are in Africa. However, small-scale data and anecdotal evidence shows that FGM is occurring in over 30 other countries, many of which have passed laws banning the practice. This includes at least 13 countries in Western Europe, as well as Australia, Canada, Georgia, India, Malaysia, Pakistan, Russia, Singapore, Sri Lanka, Thailand, and the United States. Thanks to growing activism from within practising communities, new information is now available that shows FGM is practised by both indigenous and immigrant communities in all continents except Antarctica. 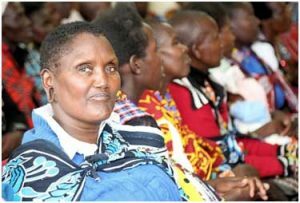 Survivors, activists and grassroots organisations are courageously working to end FGM and have conducted small-scale research surveys to document its prevalence, provide support to affected women and girls, and advocate with legislatures, courts and local authorities to introduce and enforce legal bans. The type of statistical information being provided is invaluable in the effort to end FGM because it pushes governments to take action and provides a baseline from which we can measure the scale and effectiveness of interventions. However, their work is woefully underfunded and lacks sufficient international support. The United Nations, which designated 6th February as the International Day of Zero Tolerance for Female Genital Mutilation in 2003, has so far failed to dedicate adequate funds to eradicate FGM at a global level, particularly in Asia, the Middle-East and the Americas. Even the UNFPA and UNICEF Joint Programme to Accelerate the Abandonment of FGM/C only covers some of the countries traditionally acknowledged to practise FGM. The past year has demonstrated the monumental challenges faced by anti-FGM campaigners the world over, caused partly by gaps in understanding about the nature and extent of FGM in countries where it is not historically acknowledged to occur. For instance, in India, despite the existence of independent studies documenting FGM within the Bohra community, the Indian government has sought to deny the existence of FGM in the country because of a lack of official representative data. In November 2018, a District Judge in the U.S. state of Michigan dismissed charges brought against two doctors and six others accused of subjecting nine girls to FGM. Judge Bernard Friedman struck down a 20-year old federal law banning FGM on the technical grounds that it was unconstitutional because the power to outlaw the practise belonged to individual states, not Congress. Despite referring to FGM as ‘a despicable practice’, his order demonstrated a fundamental lack of understanding about the discriminatory nature of FGM -which is carried out primarily to control the sexuality of women and girls – as well as the widespread nature of its occurrence within the U.S. The US Government has appealed against his ruling. In August 2018, an appeals court in Australia overturned the country’s first FGM conviction in 2015 against a priest and mother from the Bohra community, who were found guilty of performing FGM on two young sisters. Here again, the court ruling was not based on support for FGM but instead on the technical grounds that the type of FGM purported to be practised by the Bohra community, which involves cutting the clitoral hood, did not fall under the existing legal definition of FGM. A request was put forward by the court asking the Government to consider expanding the law. FGM had been criminalized in the Australian state of New South Wales since 1994 and its definition has not been updated since then despite the World Health Organisation later adopting a more comprehensive definition and classification, which includes cutting of the clitoral hood. The globalised nature of FGM requires not only a global response, but also a nuanced one that is tailored to meet the particular contours of FGM as it is practised in different countries or communities. We need to update existing FGM laws and draft new ones to ensure that all types of FGM are covered within its ambit, as cutting of any kind violates the human rights and health of women and girls. In line with target 5.3 of the SDGs, governments need to collect prevalence data on FGM in all countries where it is known to be practised, and report on their efforts to address the issue. UNICEF is the organisation responsible for supporting countries in generating, analyzing and using dates for this target. This includes leading methodological work, developing international standards, and establishing mechanisms for the compilation and verification of national data, and maintaining global database. The United Nations is failing in this commitment and needs to fund and pilot anti-FGM efforts in countries where it has not traditionally done so. The medical community needs to intensify research efforts and publish disaggregated research and data that does not merely look at FGM generally, but analyses the health consequences for each type of FGM individually, particularly Types I and IV for which available medical research is scarce. The fight to end FGM globally clearly stands at a turning point. There is rising backlash against the activism to eradicate FGM, and there is a threat of regression that risks losing hard-won gains. For instance, in Kenya a petition has been filed asking the Court to declare as unconstitutional the Prohibition of Female Genital Mutilation Act, which was enacted in 2011, and to abolish Kenya’s Anti-FGM Board. However, 2018 also provided positive evidence that untiring efforts to end FGM through activism and legal bans undeniably work, with sustained efforts resulting in a “huge and significant decline” of women and girls across Africa being subjected to FGM between 1990 and 2016. We need to learn from the fantastic work being done in Africa, adapt the strategies according to regional and cultural contexts, and implement them in every country where we know FGM is being practised. Through the SDGs, activists and countries have made strong public commitments to ending FGM throughout the world by 2030. To achieve this goal, political commitments must now be put into action fully by accelerating and globalising efforts, collecting and circulating reliable data, and providing the proper funding needed to eradicate FGM once and for all. *Equality Now is an international human rights organization that works to protect and promote the rights of women and girls around the world by combining grassroots activism with international, regional and national legal advocacy. Its international network of lawyers, activists, and supporters achieve legal and systemic change by holding governments responsible for enacting and enforcing laws and policies that end legal inequality, sexual trafficking, sexual violence, and harmful practices such as female genital mutilation and child marriage. For details of the current campaigns, please visit www.equalitynow.org; on Facebook @equalitynoworg and Twitter @equalitynow.